Three months in to an unpredictable Premier League season, Chelsea sits second behind the leaders from the red side of Manchester. It seems like long ago that we were flying high at the summit, with an unquenchable thirst for goals and a seemingly unbreakable defence. It’s definitely over exaggerating it by saying “we’re in crisis” (think Portsmouth 09/10) but four points from five games is no title winning form. Injuries can be the definition of a team’s campaign. Unfortunately, Chelsea’s hand is tougher than most. Terry, Lampard, Drogba, Anelka, Kalou, Benayoun, Zhirkov and now Alex have had time on the physio’s table. That’s five first team players and our three best substitutes. In their absence Ancelotti has pushed forward with the 4-3-3 he adopted this time last year after his much-touted diamond was countered. However there has to be real questions asked about wherever players can comfortably fill the roles of the player they replace. For example, Lampard. Chelsea is not lacking in the creative player department with Malouda and Zhirkov among the best in their class. However both are predominantly wide left players and so often they tend to drift to their natural position when playing in the creative role in the midfield. As a result the team looks bereft of an enganche, a hook between the midfield and the forwards. The heat map below shows Lampard’s role against West Brom verus Zhirkov’s against Sunderland. As you can see there’s a lot more action in the top left compared to Lampard’s heat map, despite both players playing in the vaguely same position. It’s far too easy to underestimate Michael Essien. His somewhat clichéd stereotype of “a bull like thrust and drive from midfield” is a cliché because it’s the best way to describe the way he dominates a midfield. Ancelotti referred to his return in the off season as a “new signing” – and for his teammates, his suspension must feel like losing a leg. You don’t appreciate how good it is until it’s gone. As you can see from the two heat maps of Chelsea’s below, the right side of midfield has had a significant less amount of action and success during Essien’s absence. The top is the game against Arsenal, and the bottom is against Sunderland. 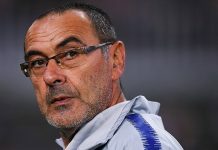 Chelsea at present are struggling when up against teams deploying a two striker system, and also when their opponents narrow the space and place pressure across the park, particularly on the free, fluid roles of the front three. The tactics make sense, as the wonder football at the start of the campaign was owes its dues largely to the individual skills of Malouda, Drogba and Anelka working in tandem and harmony with one another. But now teams are taking the “Sunderland model” and forcing the players into quicker, pressurised decisions, rather than having the time to pick the right pass. Teams are also nullifying the threat of Ashley Cole by issuing one of their own with the encompassing task of man-marking Ashley Cole. Even when Cole is in a striking position, his marker is on his goal side. The best example of this is Kieran Richardson’s superb job in the shock 0-3 defeat. I won’t go into providing solutions as I’m certainly no world class coach. At the age of just 16 I’m really only getting started on the journey to replacing Ancelotti. At the end of the day there is only so much that chalkboards and stats can tell you. Sometimes teams have blimps and off-days, for us it’s all come at once. But you have to have faith. Previous articleBRING BACK FRANK AND STOP THE ROT!